Valentine’s Day is just around the corner, and it’s time to start thinking of ways to celebrate with your little ones. It’s important to spend the day of love with those who you love most, and in today’s post, we’ll provide you with four ideas that are sure to help you plan a special day that your kiddos will love. At Valley Child Care & Learning Centers, we love finding new ways for children to learn, grow, and use their imaginations. We offer a variety of programs, including toddler, infant, and preschool learning programs. Each curriculum is designed to challenge your little one and encourage early childhood development. 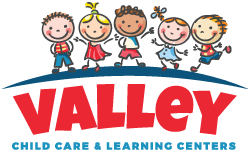 If you have any questions, or you would like to schedule a tour of one of our 10 locations, contact Valley Child Care & Learning Centers today! 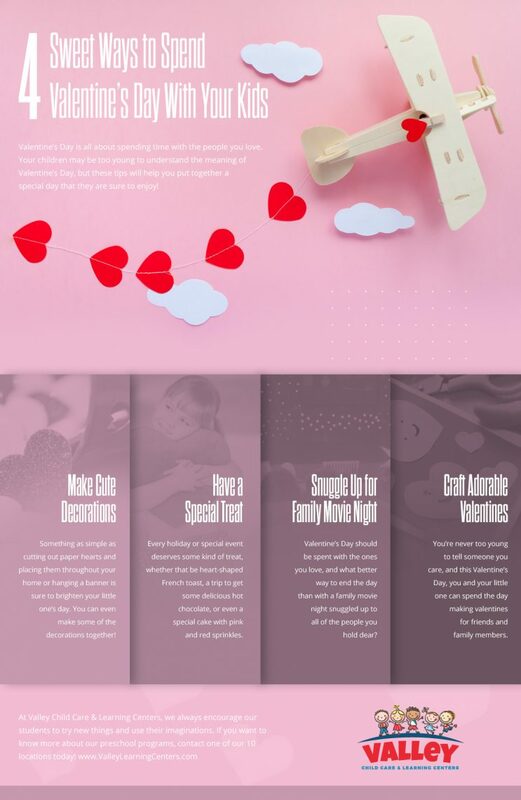 You can never have too many red, pink, and white hearts on Valentine’s Day, and if you’re looking for a fun way to celebrate Valentine’s Day this year, then why not make some cute decorations with your kiddo? Making paper hearts is simple, and all you need are some scissors and colorful construction paper. Not only will making decorations be a great way for you to bond and spend time together, but your little one will love cutting out hearts and decorating your home. All special events and holidays deserve to be celebrated with a special treat. This Valentine’s Day, you and your kiddos can go on a date for some hot chocolate, or perhaps you wake them up in the morning with some heart-shaped French toast! If you decide that you want to make a treat during the day that you can all enjoy after dinner, then it might be fun if you and your little ones team up and make it together. 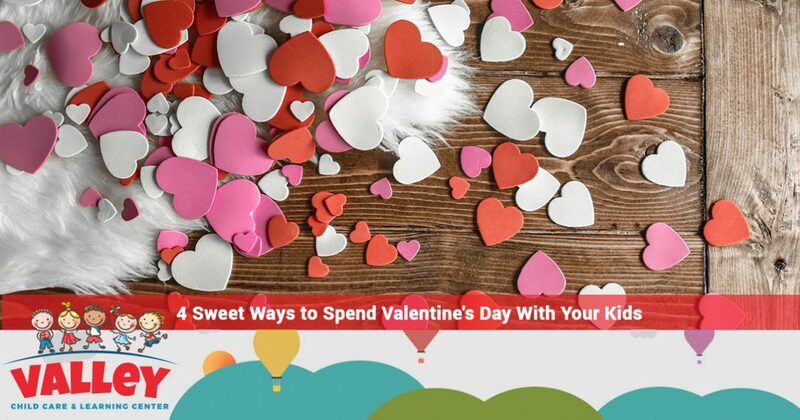 If you and your partner work during the day, and your little one is at school, it might be difficult to find time to celebrate Valentine’s Day during the day. However, that doesn’t mean that the fun is ruined. Valentine’s Day is all about celebrating with the people you love, and there’s no better way to spend time with the people you care about than snuggling up together on the couch for a movie. Pop some popcorn, curl up under a blanket, play your favorite movie, and end the day together as a family. Anyone can go to the store and buy a Valentine’s Day card, but the sentiment means so much more when it’s crafted by hand. 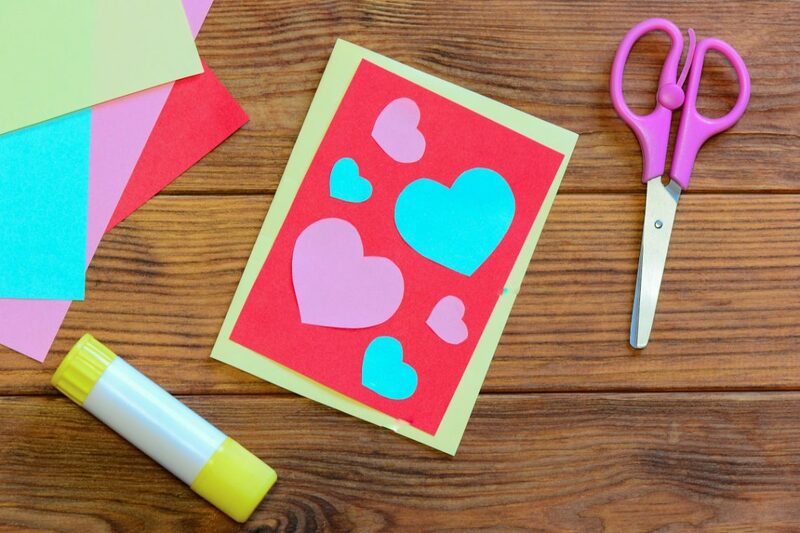 This year instead of buying cards from the store, you can sit down with your little one and make valentines together by hand! You can do this the day of, or on one of the days leading up to February 14. Either way, anyone who receives one of your valentines is sure to appreciate all of the work that went into it, and you’ll also teach your little one the value of effort in the process. These are just a few ideas of ways that you can celebrate Valentine’s Day with your children this year. At Valley Child Care & Learning Centers, we are more than happy to provide you with the high-quality child care that you need. Our programs are designed to provide children with ample opportunities to grow and learn, whether it’s through our infant, toddler, or preschool learning curriculums! Browse our website to learn more, and contact one of Valley Child Care & Learning Centers’ 10 locations in Phoenix today!